Join us in April for our Master Discovery of Healthy Aging! Or what breath work do for you on a cellular level? What is the cause of ageing diseases? And what role does our fascia play in the health of our physique? 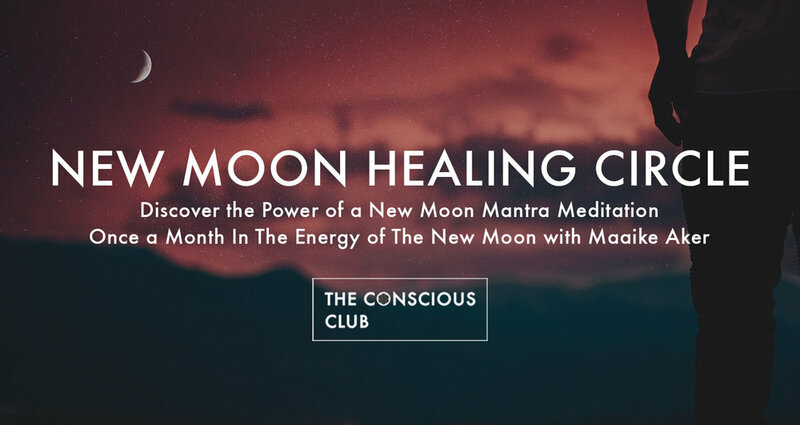 Join us in these magical evenings of healing where we practice a beautiful and intimate New Moon Mantra Meditation. Before we start with the meditation we spark of with some warming up Kundalini Yoga exercises, then we glide effortlessly into this beautiful, transformational and healing meditation circle. The energy that’s generated by the group is truly amazing. Come and experience it for yourself, and tap into the power of Community, Kundalini Yoga and the New Moon energy. 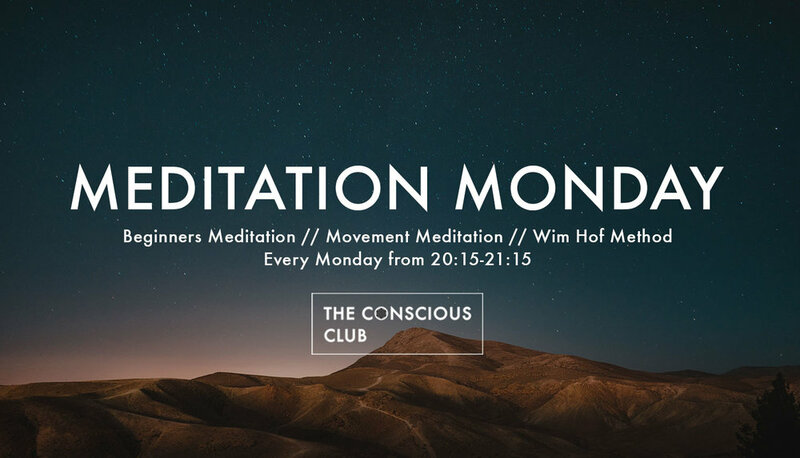 Every Monday at The Conscious Club, Meditation Monday with three different teachers. Three different journeys for your perfect monthly dosis! Traditionally seen, the so called Poomsea are used voor Seon meditation in movement. These Poomsea are stylized movements that will activate your whole body, and make your mind empty. During this meditation, the students will follow the teacher by practicing the different styles of movements. The movement is often tangram formed. Tangrams are the signs of I Ching and show all corners of Korea, the earth and the cosmos. All styles have a physical focus on balance and gracious movements while the mental focus is on the breath. The transformation from one movement to the other also focuses on breathing out and breathing in. The Wim Hof Method is similar to Tummo (inner heat) Meditation and Pranayama (yogic breathing). Yet it is something else entirely. While Wim has read a lot of books on yoga and meditation for many years, this technique primordially comes from what he terms ‘cold hard nature’. By subjecting himself to the bitter conditions of nature, he learned to withstand the extreme forces of cold, heat and fear. If you learn this method or technique correctly, it will empower you to do the same. In these series, we'll dive into Pranayama breathing techniques. Pranayama is derived from 2 Sanskrit words - Prana (life force) and Ayama (control). Though it's often associated with rapid breathing, Pranayama is all about control of the breath. The breath is the tool that unites body with the mind. When linking breath with movement, we gradually develop a relationship with the length, depth and pace of our inhale and exhale. This synchronicity creates balance. In this class, we will start with the practice of asana (poses), the third limb of the eight limbs of yoga mentioned in the yoga sutras of Patanjali. By starting the class with asana (poses), the energy will flow through the body and you will sit more comfortable in a meditative pose to practice pranayama. The asana's will be followed by the practice of pranayama, the fourth limb in the yoga sutras. The practice of pranayama will balance the energy in your body and will clear your mind from thoughts. This will help you get deeper into a guided meditation at the end of the class. Years ago, on his search for a healthier and more balanced life, Ramon found the path of yoga. Ramon spent months in ashrams, where he learned and experienced the deepest meanings of yoga. After his spiritual birthday, his guru, dr. Guruji Omanand gave him the name Rama Anand, named after the Hindu god Rama. As Rama Anand, he became teacher and host at Paramanand Ashram Indore, India. Currently his classes include traditional Hatha yoga asana, pranayama (yogic breathing exercises) and meditation. 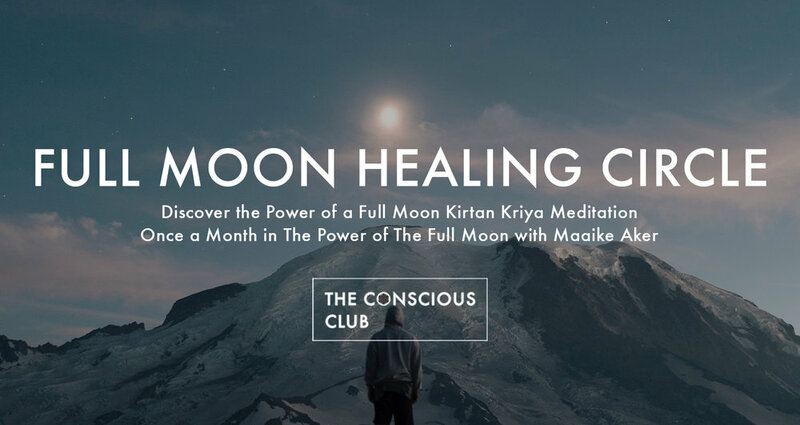 Then join us in these magical Full Moon meditation evenings where we let of go of the old whilst making room for the New. In this evening we will practice the transformative ‘ Kirtan Kriya’, also known as the “ SA TA NA MA” meditation, one of the most important meditations in Kundalini Yoga. This meditation is an amazing catalyst for change. It is said that if all other meditation techniques were lost, this meditation would be enough to clear our psyche and balance our body, mind and soul. It is a beautiful meditation that helps you cleanse and purify from within planting new bright seeds of change and growth in your energy field. Practicing this meditation is both science and an art. We will use Mantra, Mudra, Voice, and Visualisation to balance your Chakra’s and your Aura. This profound meditation has the power to break habits and addictions because it access the part of the brain where habits are created giving you the tools to reshape and transform them. This meditation supports you in balancing our tattvas. These are the five qualities that make up the physical world: earth, water, fire, air, and ether. Each person has a unique constitution with a predominant tattva: maybe you're fiery, quick to react or, maybe you're etheric – not quite “of this world”. Each tattva reflects its own qualities in our behaviors, habits, and constitution so establishing harmony is a must. This represents the cycle of Creation. From the Infinite comes life and individual existence. From life comes death or change. From death comes the rebirth of consciousness. This leads to experiencing the joy of the infinite through living a compassionate life. Before we start with the meditation we spark of with some warming up Kundalini Yoga exercises, then we glide effortlessly into this beautiful, transformative and healing meditation circle. The energy that’s generated by the group is truly amazing. Come and experience it for yourself, and tap into the power of Community, Kundalini Yoga and the Full Moon energy. From the start till the end you breathe your whole life. It’s is a subconscious process which you can influence consciously. When you influence the breath, you instantly influence your state of being and vice versa. Breathe to relax, breathe to energize, breathe for change, there are many ways to do it. Although we take around 80% of our energy from oxygen, we don’t learn much about breathing. Besides the physical process, there is the movement of the breath, or flow, that can make tensions and stress in the body ‘melt’ or release. So there is a lot to learn and experience breathing. In these classes, we’re going to explore different ways of breathing in a variety of techniques so you can apply this into your daily routines for a stronger, happier and healthier life! The way you breathe tells a lot about the way you live your life. Come and join our conscious breathing journeys: The Breath of Life. When you relax and open up, you can feel connected and inspired. Lu Jong, Tibetan yoga, is a form of Meditation in Movement; it opens up our body, our heart and our mind. When we are open, we feel connected, not only to ourselves but also to nature and to other living beings. Sometimes we feel as if ideas are 'given' to us, from somewhere in the universe or from deep down inside of us. Lu Jong helps us to release tension in our body and in our mind. With special movements and breathing exercises we open up our channels and release blocks. Relaxation helps us to let go of fear, grasping, and effort. The way we breathe is very much connected to the way we think. Lu Jong uses bodywork as vehicle to calm down our thoughts and emotions. This way we can feel more space for new possibilities and inspiration. Ninon learned about the connection of body and mind from a Tibetan Buddhist Master, Tulku Lobsang. Ninon is an artist whose sculptures and paintings, celebrating nature, are spread over different countries in the world. She feels a connection with Buddhist philosophy of the interdependency of all that exists. When we observe our own mind, we might find some space between thoughts, where creativity can be born. In this event we will do a series of Lu Jong Movements, a breathing exercise, and in the end we will relax and Ninon will play the piano while citing some of her poems.